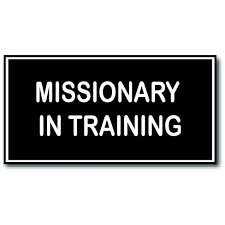 As noted previously in other blogs, the Missionary in Training Program is a home and centered program for missionary preparation. Now that the program has been introduced, here are some ways to get started with the program. Parents review together the overall Missionary in Training Program and make a personal and family commitment to believing in and committing to the long-term plan for the family. 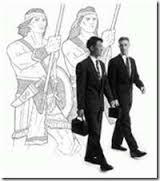 Have/Conduct the FOUR preliminary missionary training programs – in home evenings – using the attached “Missionary Training Guides” and “Planning Worksheets”. 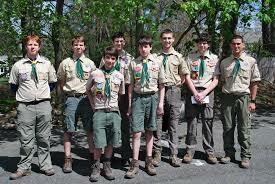 Complete the missionary preparation activities and teaching as outlined. Obtain the MISSIONARY IN TRAINING package and other materials for the family and each participating family member. Prepare the program “mission Calls” as included in the program package – for each participating child or family member – including parent and youth trainers. Set a date and make a plan for conducting the quarterly or annual family MIT planning conference. (See attached “guidelines”.) Set a date, determine a location, and make assignments – without the children knowing of the plan. Prepare a place in the home for your Home and Family Missionary Training Center. This will be where you will stage future missionary training programs. This could around a wall in the kitchen (by the dining table) or in the family room. It needs to be a place (or bulletin board or wall) where plaques and planning worksheets can be posted and viewed frequently or continuously by family members. Tell family, friends, home teachers and church leaders about your program and plan. This will further commit you to the plan and will generate support and will commit them to periodic involvement with you in your program. It will also generate enthusiasm for you and your family. It is best to plan for the entire year and assign lesson numbers to each week of the year. But, what happens if you suddenly have a family, school or other activity that pre-empts your calendar plan. No worries … You can slide the whole calendar to accommodate the lesson next week – or just drop it and put it back on the calendar for ext year. This is a personal retreat where your teen son or daughter has time and focus to ponder life and what he/she should do with it. The concept is that the Ammonite goes to a place where he/she can be totally alone and where time can be spent thinking about their life, reading scriptures, praying, setting goals, and making commitments o Heavenly Father about their future – and hopefully, about their desire to serve a future mission.